Olushola believes that love is central to the Gospel and to being a Christian. “One unique quality of love is that it guides us to have compassion for others and moves us to help them. Love is not just sympathizing with the miseries of others, instead it means making every effort to alleviate their suffering,” he said. The advocates from Liberty University came to Capitol Hill to meet with Congressional offices to talk about funding nutrition projects both globally and in the U.S. Richard Lane, MD, MPH & TM, Director of the MPH Program at Liberty University, and faculty member Bethesda O’Connell were also on the visits with Olushola, as well as Pastor Stephen Willis of Lynchburg Church of the Nazarene. 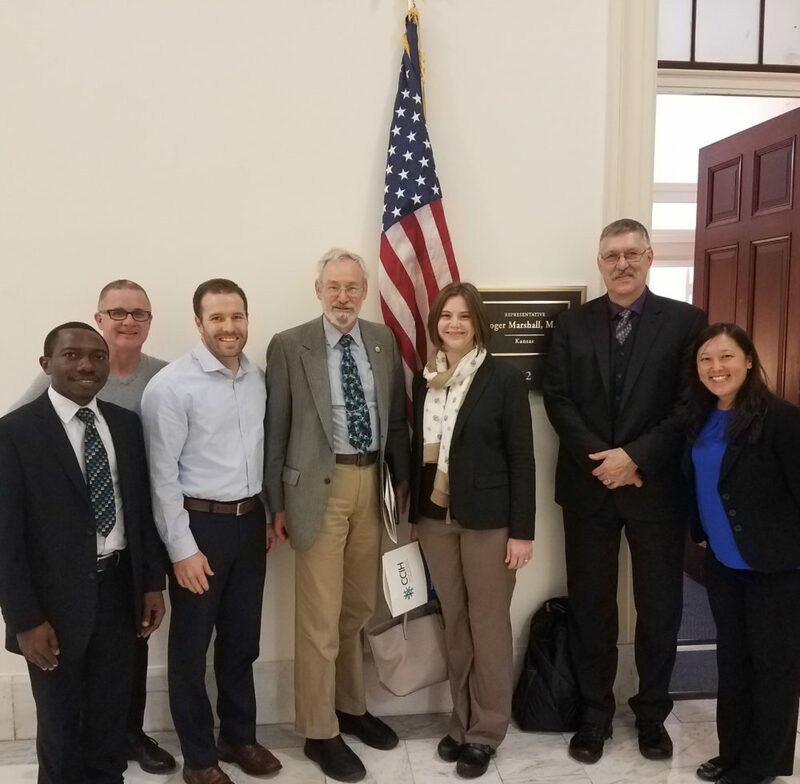 The group met with the offices of Senator Joni Ernst (R-Iowa), Senator Marco Rubio (R-Florida), Senator John Thune (R-South Dakota), Congressman Bob Goodlatte (R-Virginia), and Congressman Roger Marshall, MD (R-Kansas). Olushola goes on to cite numerous examples in the Bible of compassion that he finds particularly motivating, such as the story of the Good Samaritan (Luke 10:25-37); the account where Jesus equates feeding the hungry, taking the stranger into our homes, clothing the naked, and visiting the sick and those in prison to doing those same acts to Him (Matthew 25:31-46); and the telling of Jesus feeding five thousand on one occasion (Matthew 14:13-21), and four thousand on another (Matthew 15:32-39). Olushola said he is grateful for the reception the group received from the staff of the Members of Congress and he was happy to hear that some of the Members of Congress are also passionate about what we are advocating for and are already involved in efforts to increase support and funding for the programs CCIH supports. “I would encourage other students who are considering advocacy visits to get involved as soon as they can and as much as they can,” Olushola said. He believes that if students can show how passionate they are about these programs, and show their commitment to helping marginalized and underprivileged people all over the world, Members of Congress would be moved to take the issues more seriously.